Gasparina Village is a peaceful and relaxing holiday village, composed of 120 apartments a few steps from Lake Garda. The Village is nestled in the nature and represents an ideal solution for families with children. You can comfortably relax in front of your unit and yet looking after your children having fun in the pool. Cars cannot circulate internally so as to avoid any possible danger to kids. It is also a perfect gateway for tours as it lies only a couple of kilometres from the station and the highway and is next to various theme parks such as Gardaland which is just 500 meters away and reachable on foot in 10 minutes only. Discover our holiday village for sportsmen directly by Lake Garda. 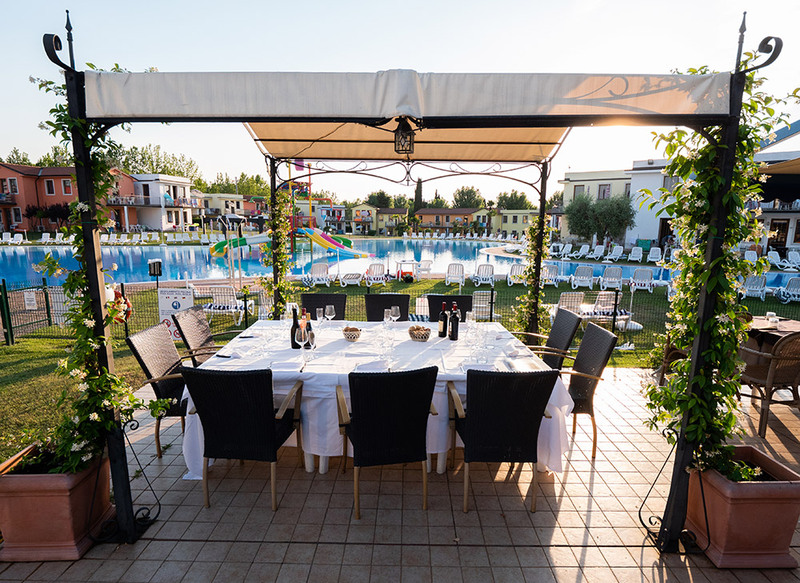 Here you’ll find a beautiful lakeside garden with football and volleyball fields besides a panoramic walk to reach the centre of Peschiera on foot in just 30 minutes and another path to practice jogging until the Port of Pacengo. Sport and entertainment take place even inside our residence which hosts sports fields and various recreational activities! family friendly, Gardaland and basinExcellent small appartment houses just around the well-equipped child basin. A super family friendly place! Apartments are well equipped and comfort to stay. Gardaland is 1km away , easy by feet.